This new city hotel first opened its doors in 2009 and has a total of 184 rooms. The hotel offers 2 meeting rooms which seat 15 delegates each and feature state-of-the-art audiovisual equipment along with a serviced business centre. Guests are welcomed into a lobby with 24-hour reception and check-out service. 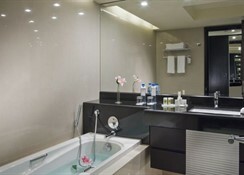 Further facilities at this air-conditioned hotel include a hotel safe, lift access, a bar and a restaurant. 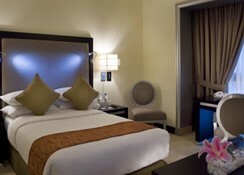 For additional fees, guests can make use of the WLAN Internet access, and room and laundry services. 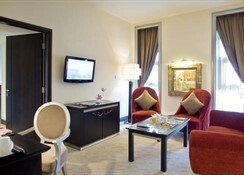 The Mercure Gold Hotel offers contemporary guest rooms, which are fitted with elegant furnishings and décor. Every room comes with air-conditioning, satellite TV, a safe, tea and coffee facilities, an iron, ironing board and an en suite bathroom. 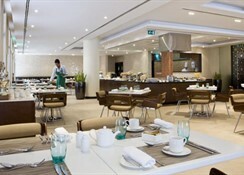 Guests can enjoy an international buffet breakfast at the hotel, with a choice of hot and cold foods on offer. 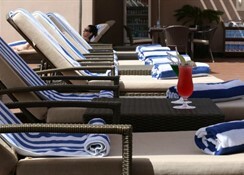 The Senses restaurant also offers international cuisine, with both a buffet and an a la carte service. Drinks and cigars are available at the Liquid Lounge. \n\nGuests who have chosen the Half Board option will receive buffet meals. Dubai, the fast paced, fast growing city well known for its lavish hotels and resorts, it’s now hard to believe that Dubai was nothing more than a dessert landscape just short of 25 years ago. Dubai is now a modern metropolis of impressive buildings, tourist attractions, and stunning manmade islands. 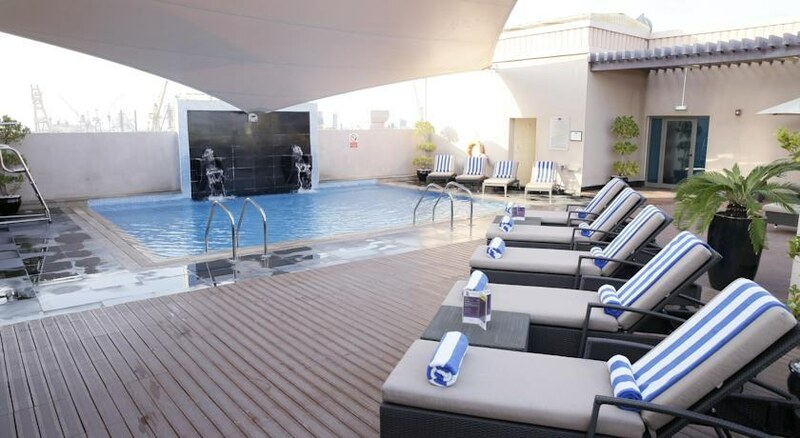 \n\nThe Mercure Gold Hotel is located in the historical quarter of Bur Dubai, facing Deira on the other side of the Dubai Creek; this neighbourhood is home to some truly beautiful sights and tourist attractions. At the northern tip of the creekside walkway are the Sheikh Saeed House the official residence of past rulers, now open to the public, and the Heritage Diving Village – Take a water taxi from the nearby Al Seed Road area across the creek to Deira. Creekside Park is one of the most beautiful areas in the city, and is one of the city’s best walking areas; Creek Side Park is lined with waterfront pathways.